According to a press release from the institution, the new Gender Identity Admissions and Matriculation Policy will apply to all students who enroll in Morehouse College by the Fall 2020 semester and was developed after 15 months of input from faculty, staff, students, and alumni. The groundbreaking plan was led by a task force created by the President of Morehouse College, Dr. David A. Thomas. The policy also applies to students who transition at Morehouse and a student who transitions from a man to a woman will no longer be eligible to matriculate at the college. Morehouse will continue to use masculine pronouns, the language of brotherhood, and other gendered language that reflects its mission as an institution designed to develop men with disciplined minds who will lead lives of leadership and service,” according to the outlines of the policy. Exemptions to the policy will be determined by a three-person committee whose decisions can only be reversed by the university president. Students enrolled at Morehouse before the Fall 2020 semester are not affected by the college. 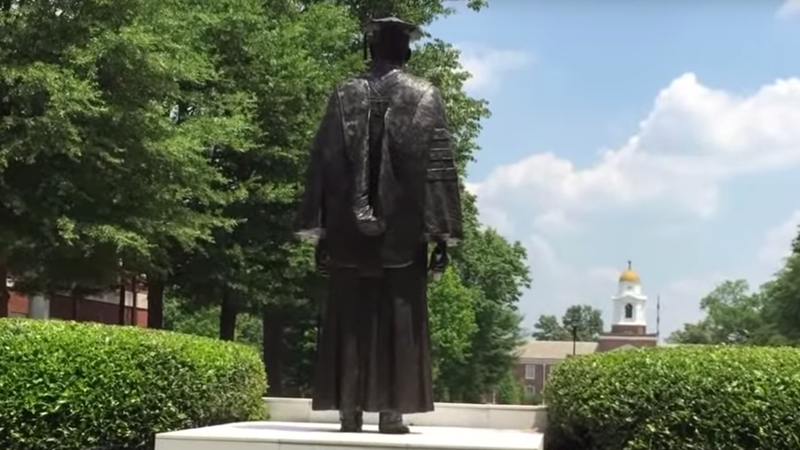 The 152-year-old HBCU, located in Atlanta, enrolls approximately 2,200 students and is the nation’s top producer of black men who go on to receive doctorates, according to school officials. Prominent alumni include activist Martin Luther King Jr., actor Samuel L. Jackson, filmmaker Spike Lee, and former Homeland Security Secretary Jeh Johnson.